The hydraulic door opener is specially designed for opening the locked door with metal and nonmetal construction to carry out unexpected accident rescue service and the firefighting rescue in house, hotel and business building. With the foot made of special steel, the hydraulic door opener can be used safely in the environment involving risk of explosion. It can provide opening force up to 10 tons. 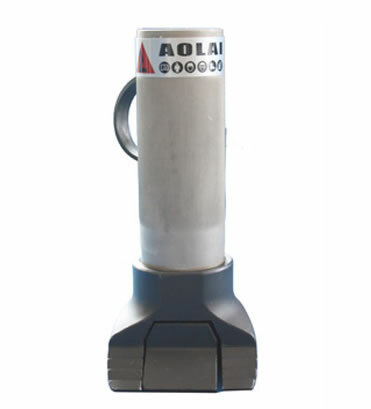 The self-lock function can be available when it works with the hand pump A. 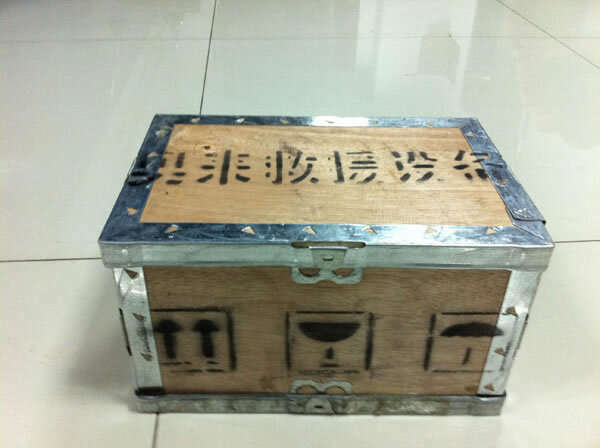 Featuring simple construction and portability, the equipment can be stored in the steel case and achieve fast emergency rescue. 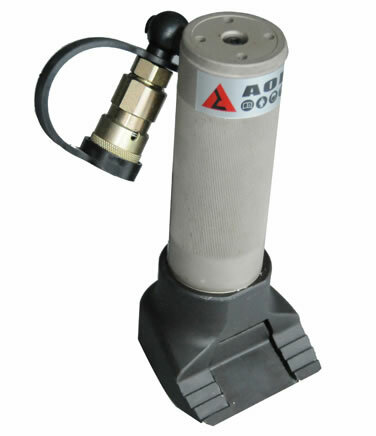 When the closed foot of the hydraulic door opener is inserted into the seam of work piece, the hand pump A begins to supply hydraulic fluid. 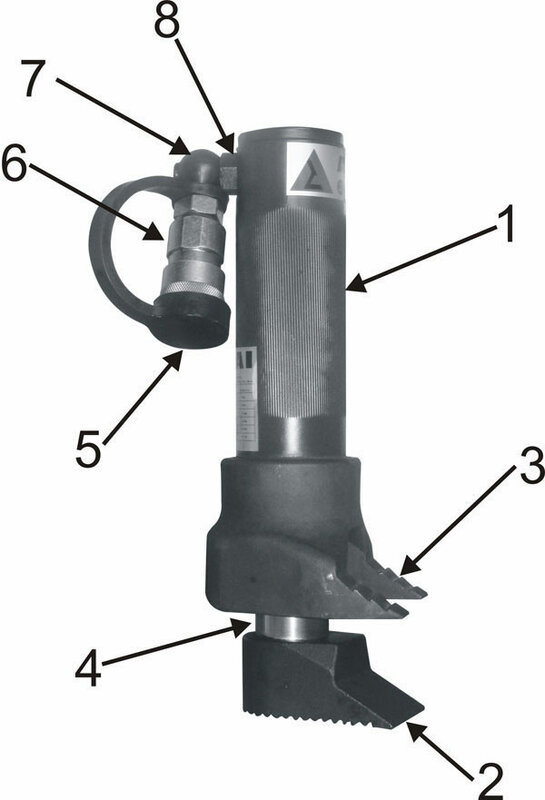 The foot and claw separate gradually through the action of the hydraulic pressure. Then the work piece is opened by the force of the separated feet. Description 1. Material: With the foot made of steel, the hydraulic door opener can provide a large opening force. 2. Function: It is especially designed for opening door, gates, etc when an emergency happens. 3. Application: This device is professional rescue equipment for opening the locked door in time for residential and commercial buildings, and hotels. Features 1. Working with big or small manual pump with self-locking function, the hydraulic door opener can provide the opening force up to 10 tons. 2. 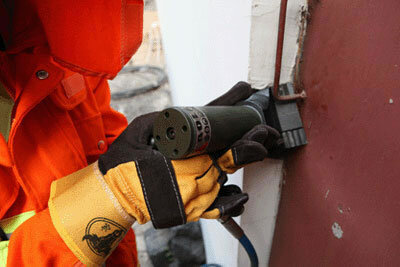 Without sparks during operation, it is safe to use in explosive places. 3. Mini-sized and easy to carry. 4. This device can be stored in the metal cabinet for emergency usage. 1. 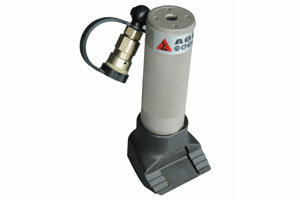 The hydraulic door opener can only be connected to hand pump A. 2. 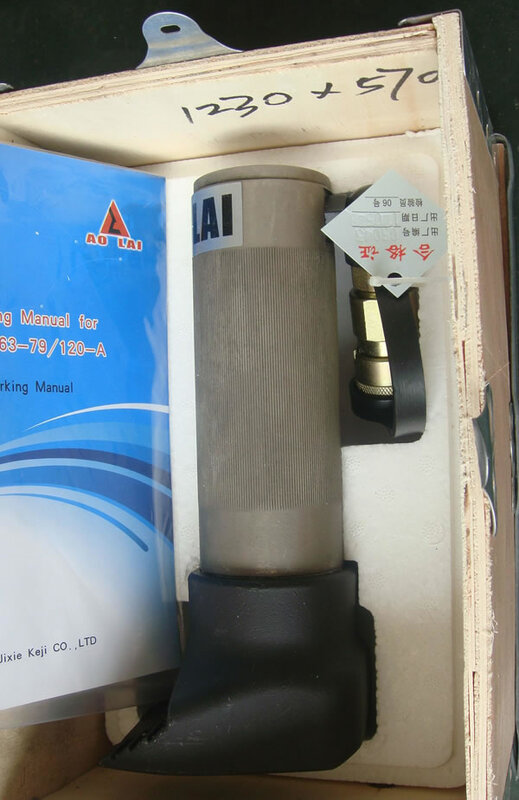 The hydraulic cylinder of the equipment is single-action, which can be only connected to the oil pipeline with male thread of hand pump A. 3. The operator must confirm that the female and male couplers are tightly connected before operating. 4. The operator should use the appropriate intensity when beating the foot of the equipment with hand hammer. 5. 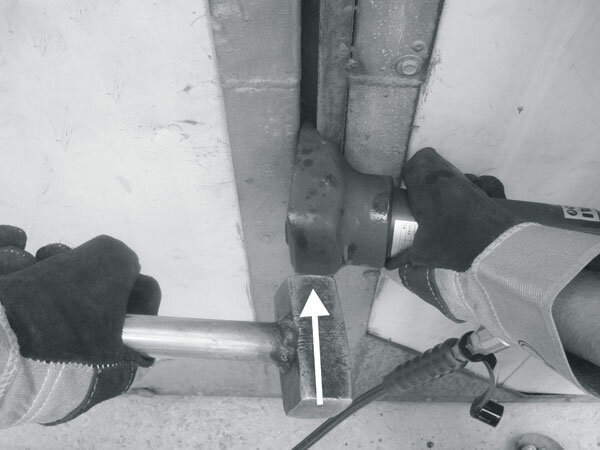 To avoid rupture, the operator should prevent the foot of the hydraulic door opener from overlarge impact load. As a China hydraulic door opener manufacturer, our company also supplies hydraulic wedge jack, hydraulic combination A, lifting air cushion, manual rescue tools, and much more.